Sinuon Pream is pictured in this undated photo. The 37-year-old was shot and killed by Long Beach police in January 2017. The family of a mentally ill woman who was shot and killed by police responding to a report that she was threatening people with a knife was awarded $9 million by a Los Angeles jury. 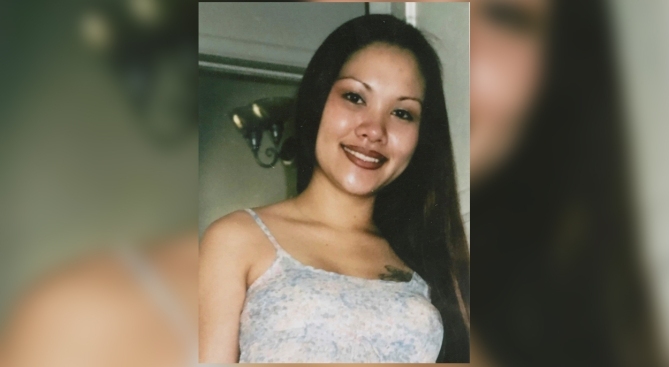 Sinuon Pream, 37, was fatally shot Jan. 15, 2017, by Long Beach police, who found her pushing a shopping cart and waving a small knife near the Veterans Administration Hospital in Long Beach. She refused repeated orders to drop the knife and approached officers, who first used a stun gun, according to police. Officers then fired eight rounds, striking Pream seven times. The shooting occurred within a minute of the officers' arrival at the scene. Family members said Pream suffered from mental health problems, claiming that officers should have done more to de-escalate the confrontation. The family's attorney argued that officers were not credible when they claimed they were in fear for their lives. The knife, about 9 inches long, was presented as evidence during the trial. "We hope that this verdict will save lives and change the way that the officers in the Long Beach Police Department and other police departments respond to people that are suffering from mental illnesses," family attorney Brian Dunn told the Long Beach Post after Friday's decision. Family members also pointed to an autopsy report that showed three bullet wounds to Pream's back. A response from the city of Long Beach was not immediately available.